Jello Sugar Cookies - Chocolate Chocolate and More! Jello Sugar Cookies-the possibilities are endless! I love playing with jello. Not the jiggly, see though stuff that you set up in the fridge. I’m talking about the stuff in the package, before you turn it into jiggly color. Honestly, I think the last time I even ate jello in the form the makers intended was when I was in the hospital with my last child. That would be 10 years ago. I’m sure the only reason I ate it then is because it’s all they would let me have. Just not a big fan. But adding it to other recipes, love it! Jello mix has great flavors and colors. Just like the name, it’s fun. I’ve added it to Cake mix and frosting to make Jello Swirled Cupcakes with Butter Cream Frosting and I’ve made Jello Popcorn. Then I saw these Jello Cookies from I heart Naptime. It was only a matter of time. I did choose to use my own recipe. 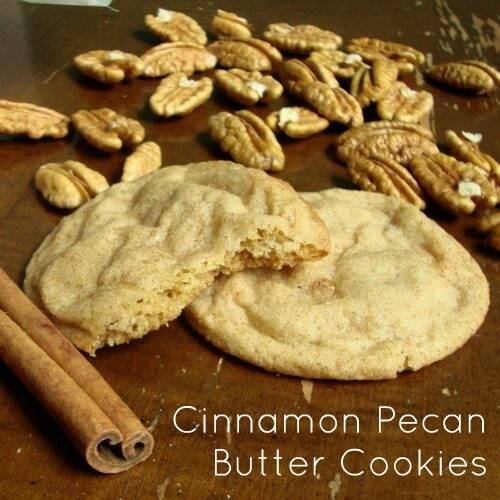 I adjusted my Cinnamon Pecan Butter Cookie recipe to come up with these full of flavor cookies. Not only are they pretty to look at baked, but they can be fun to make as well. Combine flour, sugar, baking powder and salt in your mixing bowl. Stir just to combine. Cut butter into pats and add to flour mixture. Blend in using a pastry blender or if using a stand mixer you can do this on the lowest speed. Takes about 4-5 minutes either way. Add in eggs, one at a time, mixing after each addition. Add in extract and milk, mix until well blended, making sure to scrape down sides of bowl. Divide dough into however many flavors of jello you plan on using and place in large ziploc bags. Add Jello mix to each bag and knead into dough till color is smooth and mix is well blended in. Roll dough into 1 inch balls then roll balls in sugar to coat. Place on baking sheet and bake in a preheated 325 degree oven for 12-14 minutes. Let cool on baking sheet before removing to racks to cool completely. ** a small box of Jello equals about 1/2 cup, you can use as many flavors as you like, just divide your dough and your jello accordingly. I did 4 flavors so I divided my dough in fourths and used 1/4 cup of jello per quarter. The flavors I used for these cookies were, Cherry, Lime, Lemon and Berry Blue. The berry blue was very pale so I added some blue food coloring to get the color I was looking for. I noticed this on the Jello popcorn as well, the Lime jello and the Berry Blue have a tendency to burn and discolor, watch them carefully. I had no trouble with the Lemon or the Cherry. And if you want to play around and make some swirls? Just take a bit of 2 different doughs, gently roll together into a ball and continue. Want some more of my favorite cookies? pretty cool – my kids would love making that (and I’d love eating it!) dropping by from the pinning party! Hi! I’m your newest follower! Stopping by from Manic Mondays. I’m not a huge Jello fan either, except when I’m sick, but these cookies do look fabulous. I’m loving this! I have found your precious blog through A Night Owl Blog “Pinning!” Party. 🙂 Thank you for sharing this recipe. I am adding to my to-do with my little boy. Happy Monday! I love jello and love sugar cookies so these are right up my alley or taste buds. You are just a genius! I would have never thought of this – I love it and since I love Jello, this is right up my alley!! My neighbor made these forall of us children in the neighborhood back in the 60’s. Love these cookies. Just a little bit of a “tang” from the Jello. I have to try these, what fun!!! I absolutely hate eating Jello, I mean whats the point???? Now, this is the way to eat Jello! Joan these are SO creative! And adorable. I like the swirl version the best!! I love the colors especially the berry blue and cherry. What a great idea. I think I need to do the cherry red for some Christmas cookies this year. so cute, I would make a whole rainbow! these are so fun!! such a great idea, thanks for sharing! I’ve never liked jello either!! I’m a vegetarian, so I won’t really eat gelatin if I can avoid it…but I think I’ll have to make these for my boyfriend! He loves jello! Haha. Very fun idea! Thanks for joining us at Foodie Friends Friday. Be sure to link up and return on Sunday to vote. Fun! I bet they taste fantastic too!! I’m certain my daughter would love making these! <3 THanks for linking up with us! These look so fun and yummy! (Visiting from Mandatory Mooch.) I would be happy to have you share them and any other ideas you would like to link up at “One Creative Weekend” on OneCreativeMommy.com. The party is open every Fri-Wed. I hope to see you there! if you use a silicone cupcake pan to make your cookies in or the silicone flat sheet, they cookies will not turn darker on the bottom. Stays the same color as the rest of the cookie. You will love it! I have never added Jello to cookie dough before, what a fun idea! I was wondering if Sugar Free Jello would be ok to use to help those to cut back sugar for diabetics? Would it change the recipe in any way? I hope not, as they look delicious and would be fun to make with the grandkids! the sugar free Jello works just fine in this recipe, your cookies may turn out a little flatter but just as tasty! These are such a cute idea! I made them with my 4 year old daughter, but she didn’t like them! I think they are a bit too sweet and would try it again with less sugar (or maybe vanilla extract instead of lemon?) Thoughts? You could cut back on the sugar or use just enough Jello to give the cookies some color. As for the extract, since the Jello mix has flavoring, you could leave the extract out all together.